12th International Nuremberg Forum 2016. "Public Theology - Religion - Education. Interreligious Perspectives"
in cooperation with the Global Network of Public Theology (chaired by Professor Elaine Graham, Practical Theology, University of Chester, see: GNPT-Website) and in connection with the Office of the Protestant Church in Germany (EKD). Since the turn of the millennium, the awareness in liberal democratic societies has grown that religion cannot simply be regarded as a private matter, but that it has an indispensable public dimension. Unfortunately, the religious context of terrorism and of violent conflicts have more strongly reinforced this awareness than the many positive, constructive contributions by religions to the common good. There is also an increasing appreciation, however, of how much liberal democratic societies gain from the political and social engagement of NGOs, institutions, groups and individuals – among which religious groups and religiously inspired people play an important role. Thus, for example, in recent decades the significance of interreligious communication and cooperation for community building and peace in the world has repeatedly been pointed out. At global, regional and local level representatives of different religions commit themselves to working for peace, justice, human rights, integrity of creation as well as for the solution of pressing problems, such as integrating migrants. In general, the contributions by religions to the common good imply an educational aspect: They aim to stimulate processes of perception and thinking that uncover new perspectives and help to discover new opportunities for action. Thus, on the one hand, education is an integral part of the public dimension of religion, and on the other, it is the realm of public education that constitutes an important subject of social debate to which religions can make substantial contributions. From both perspectives, promoting the ability to deal with plurality and to work towards an inclusive society are major objectives of education – and interreligious education is of substantial significance in this context. The fundamental acknowledgment of the Other, precisely in his or her remaining otherness and strangeness, can be an important result of religious and interreligious education that contributes to a successful social coexistence, especially including immigrants. In the Christian context, the calling to contribute to the common good has come to be discussed under the label of “public theology”, and has led to the establishment of a “Global Network of Public Theology” (2007). In this discussion, the educational aspect has repeatedly been mentioned, but has remained marginal up to now. Other religions have their own traditions and perspectives, from which responsibility for society is motivated and reflected. Judaism, for instance, has significantly influenced public culture, especially in Europe, and it keeps sensitizing the public to problematic developments in society. For representatives of Islam in liberal democratic societies it becomes more and more important not just to show that Islam is compatible with democratic values, but to show that Islamic perspectives can contribute to the common good. In Buddhism, since the middle of the 20th century, the movement of “engaged Buddhism” has developed, in which meditative spirituality is combined with active social and ecological commitment. And in the Bahá’ís community social and non-partisan political commitment has always been fundamental. It is obvious that all these religions, and others, have an important public and educational function in society that provides resources for the realisation of liberal, democratic values. Thus, the Nuremberg Forum 2016 intends to draw attention to the contribution of religions to the common good, with a focus on educational aspects and stimulated by the Christian concept of 'public theology'. By promoting interdisciplinary and interreligious academic and social discourse it aims to strengthen the religions’ public responsibility, especially with respect to public education, and their public visibility as resources for the humanization of societies. This aim is in line with the now 30-year-old tradition of the Nuremberg Forums to facilitate intercultural and interreligious dialogue and learning in a pluralistic society. The Nuremberg Forum is organized by the Chair of Religious Education at the Friedrich-Alexander-University of Erlangen-Nuremberg (Professor Manfred L. Pirner, Professor Johannes Lähnemann, and Dr Werner Haußmann) together with Professor Peter Bubmann (Practical Theology, Erlangen), Dr Florian Höhne (Systematic Theology, University of Bamberg), Professor Andreas Nehring (Religious Studies, Erlangen), Professor Henrik Simojoki (Protestant Theology/Religious Education, University of Bamberg) and Professor Thomas Wabel (Systematic Theology and director of the Dietrich Bonhoeffer Research Center of Public Theology, University of Bamberg), in co-operation with the Global Network of Public Theology, GNPT (chairperson: Professor Elaine Graham, University of Chester, UK) and in connection with the Office of the Protestant Church in Germany (EKD). The conference is supported by the German Research Foundation (DFG), the Protestant-Lutheran Church of Bavaria (ELKB), the Roman-Catholic Archbishop of Bamberg, the City of Nuremberg (Kost-Pocher Foundation and Human Rights Foundation), Religions for Peace Germany (RfP), the Institute for Anthropology of Religions (ZAR) and the Centre for Human Rights Erlangen-Nuremberg (CHREN), the latter two at the Friedrich-Alexander-University Erlangen-Nuremberg. Pirner, M. L., Laehnemann, J., & Bielefeldt, H. (eds.). (2015). Menschenrechte und (inter-)religiöse Bildung. Berlin: EB-Verlag. Pirner, M. L., & Laehnemann, J. (eds.) (2013). 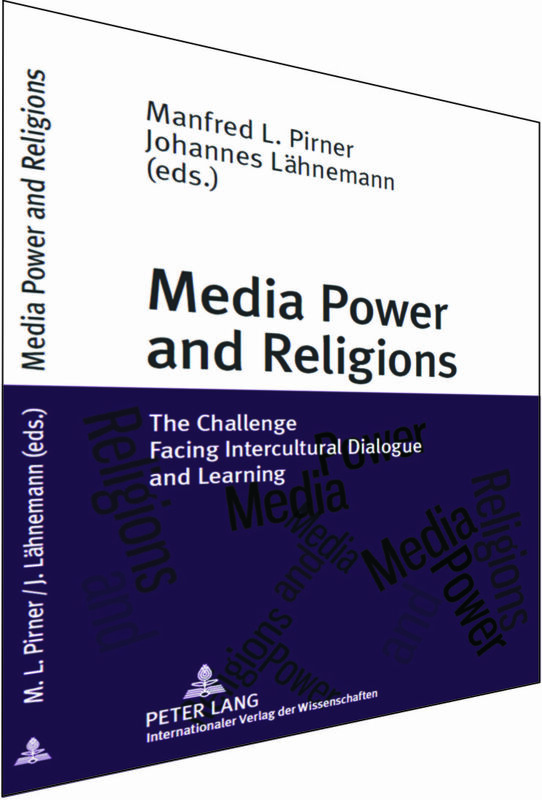 Media Power and Religions. The Challenge Facing Intercultural Learning. Oxford: Peter Lang International.